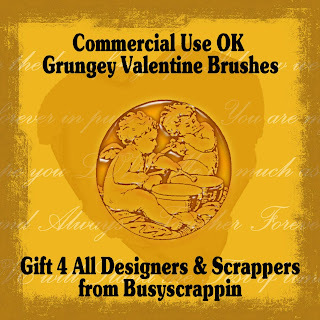 Enuff on the sad stuff Im moving on...I made a Brush kit for you....I hope you all can use these and make yourself a fun little kit of your own or whatever you want...I give you Commecrcial use of these...Please just mention me somewhere if you can K? maybe when you post your first layout or kit from it? I would appreciate it because Im going to try and sell some things to try and make a living soon...I have been disabled for several years from a Tractor Trailor accident and really very Badly need some income....I will always have FREEBIES don't worry bout that...but I really need to start getting my bills caught up before I drown in them...lol....anyhow I hope you guys can use this and have fun with it and PLEASE by all means send me some layouts or links or something I would LOVE to SEE what you do with it K?